While night diving for some divers may seem unappealing I find diving at night to be some of the most spectacular diving there is. The tempo of the ocean changes at night, while some fish and creatures that are very active during the day recede to safe places to rest others that are seldom seen come out to feed. This particular night dive was at a local spot in Monterey known as Breakwater. For this particular video I am still using my GoPro Hero 4 silver but I do have some upgrades that make it possible to increase the quality. I have added a flip filter frame with 2 macro filters to make up for the GoPro’s poor close up shots and a light motion sidekick 600 lumen flood light. With these tools I am able to get some of the best night footage I have been able to get so far. After spending a little time in Vieques I boarded a Catamaran with my Family and we departed for Culibra for a couple days exploring the Island and relaxing on the beach. We then made the trek to St Thomas, a nearby storm gave us a bit of a rough ride and slowed things down a bit, but we made it. We stayed in a small cove off of the main island known as Honeymoon Cove, unfortunately the power on the island was out and there were no local businesses besides a local bar. Although there may not have been any thing to do besides have a few drink we were fortunate enough to find out that the bartender’s boyfriend ran a dive shop on the main island and gave us his number to set up a last minute set of dives before we departed the day after. We had an amazing time on the boat, exploring Culibra and diving St Thomas with Blue Island Divers. Vieques is a small island south east of Puerto Rico, it is one of those islands that truly has a small island feel. There are an abundance of horses and dogs roaming the streets freely and the locals are kind and helpful making me feel as a tourist to be less of a burden not knowing were I was goings exactly. With there very little time that I was able to spend on the island a couple helpful lessons were learned for future trips, be aware of off season in the Caribbean. Much to my surprise shops in Vieques and other islands in the Spanish & US Virgin Islands have a slow season usually in September and October where people will take their vacations and dive shops and other shops will be closed for the entire month. Luckily I had planned enough ahead and was fortunate enough to have arranged my dives with the one open shop on the island purely by luck. For the single day i had to spend on Vieques I went diving with my sister and Blackbeard Sports, they had a smaller boat that could accommodate a max of 6 divers, dive master and captain. There were only 4 in our group which gave us a little more space on the small boat and provided a more personable feel to the experience. The diving was average, after a full day of flying being underwater anywhere was nice, but there was an abundance of soft corals, lots of varieties of fish and a fair amount of rays and a turtle, as well as the infamous Lion Fish. Visibility was probably around 30ft and there was a definite green tinge to the water on the second dive. 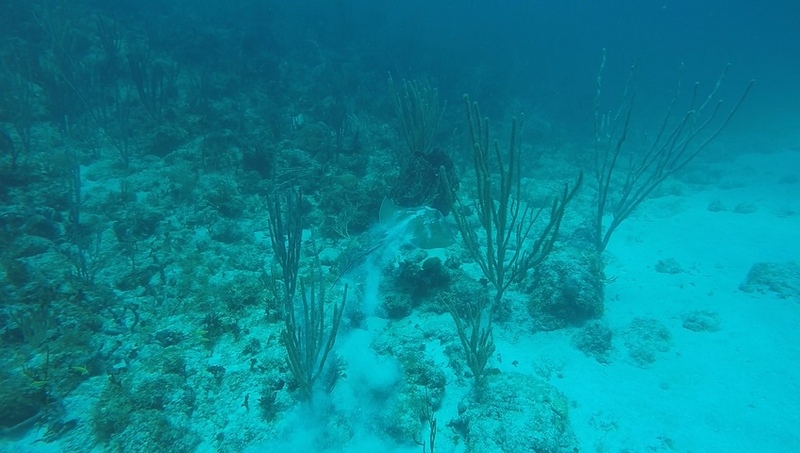 It was relatively shallow diving no deeper than 50ft and minimal amounts of reef structure. 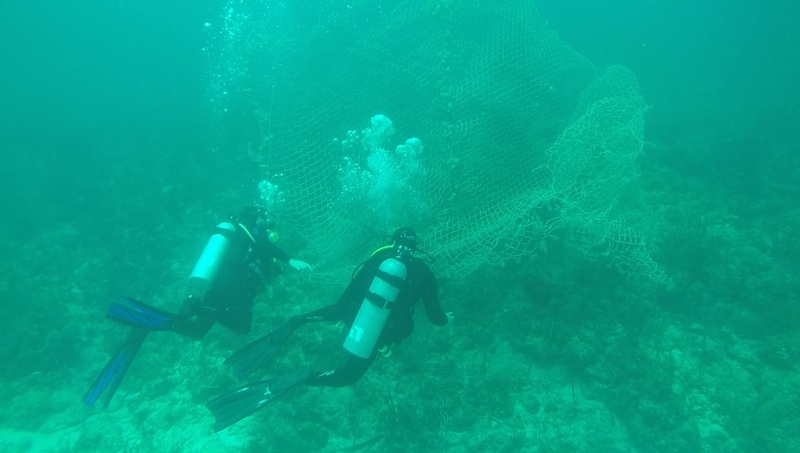 At the end of the second dive we came across an abandoned fishing net that in doing our part as divers carefully removed it from the reef and brought it back to shore to despise of it properly. Here is a video of the dives that I have put together I hope everyone enjoys. This years trip was a wonderful one visiting San Clemente Island and Santa Cruz Island for 3 days of diving aboard the Vision with Truth Aquatics. 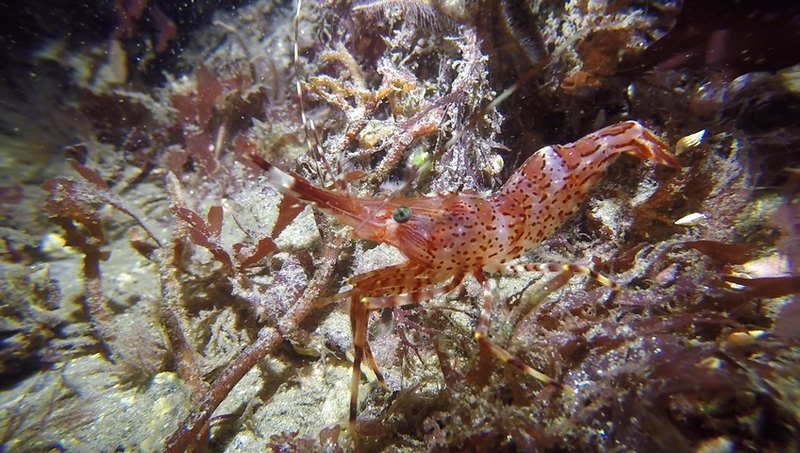 San Clemente Island provided us with amazing visibility but relatively little kelp, while Santa Cruz Island had even less kelp and visibility there were plenty of little critters to keep us amused. This was a wonderful trip diving with quite a few veterans of the Scuba world with decades of experience and great dives to boot. Scuba tanks while a very important piece of equipment are often under appreciated. While many divers are taught about tanks in their open water certification the role of a tank is left as the container of air. But in many cases the choice of tank can be as important as choice of BCD or fins. For most divers tanks are something that they might not normally think about, you travel to your destination and the shop provides tanks for you. 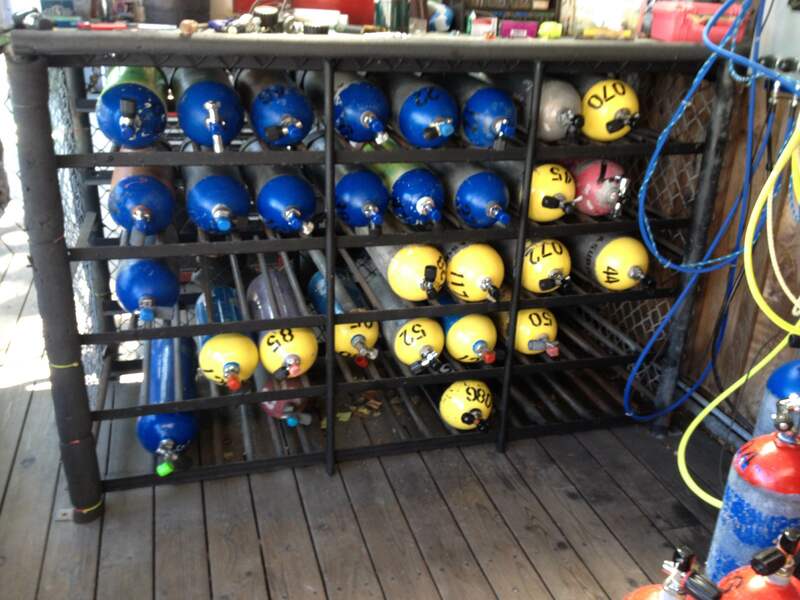 Some divers might be surprised to find out that there is as much variety in tanks as most other pieces of scuba equipment. 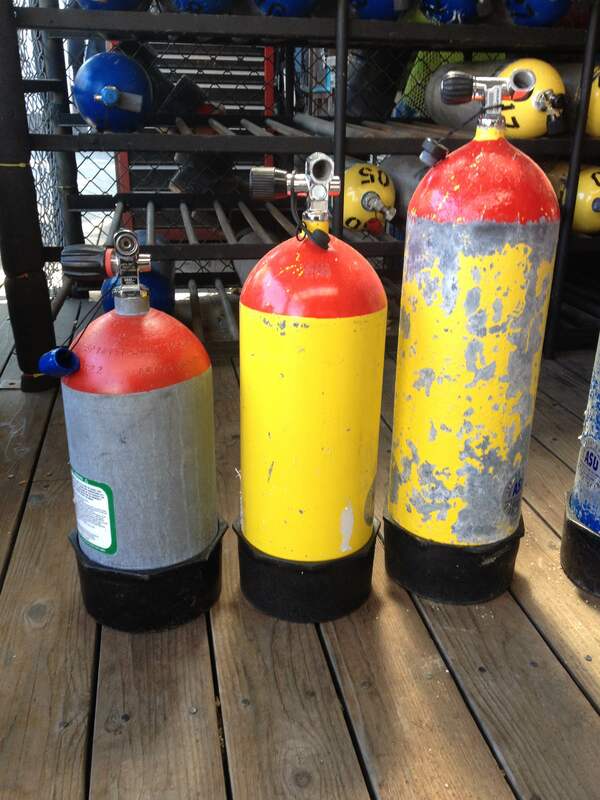 Many divers are unaware of the effects of tank choice has on our diving especially buoyancy and time. Tanks come in a variety of sizes, the size of the take is determined by the volume of air that it is able to hold. A common tank size is 80 cubic feet, but these sizes can vary from as small as 6 cubic feet for a backup pony bottle to as large as 149 cubic foot high pressure tank. It is pretty obvious that the larger tanks will hold more air than the smaller if they are filled to the same pressure, but with the use of different metals and high and low pressure tanks this can also vary. For the most part Aluminum tanks despite the size will be filled to 3000psi, steel tanks on the other hand have a fair amount of variance. Low pressure steel tanks are exactly what they sound like they are rated for a lower pressure, depending on the tank it can range from 1800psi to 2600psi. High pressure tanks (commonly using a DIN valve) fill on average to 3445psi, which is higher than the standard 3000psi of aluminum tanks. What this means is that tanks that fill to higher pressure have more air packed into them than tanks that are the same size that till to a lower pressure. So by choosing tanks that are larger and fill to a higher pressure (my favorite is HP80) you can increase your dive time compared to a smaller tank. While size of tank might be an obvious way to increase dive time, tanks also greatly influence our buoyancy underwater. With different choices of metal aluminum being a weaker metal and steel being a stronger metal these weights contribute to our buoyancy underwater. Although aluminum is a lighter metal because it is weaker the walls of the tanks are much thicker. This does usually give tanks a greater overall weight when full, when the tank is emptied the is a drastic swing in its buoyancy characteristics. Aluminum tanks while they may vary slightly from manufacturer generally are about 4 lbs positively buoyant when empty or near empty. This means you will be lighter at the end of the dive making it more difficult to complete a safety stop. On the other hand while steel tanks are a stronger metal they don’t require as thick of walls and on average may be 1 lb positively buoyant to 2 lbs negatively buoyant depending on the manufacturer. This means with a steel tank that might be 3 to 4 pounds less lead you will have to add to your weights. The high pressure steel tanks can even be up to 4 lbs negatively buoyant when empty. So weather or not you are buying a tank or renting a tank it is important to know how it is going to affect your dive, weather its is going to affect the duration or your buoyancy. Be prepared to make adjustments as necessary. If your unsure talk to the dive professionals to find out the buoyancy characteristics, and don’t forget to record in your logbook, your weights with each type of tank you use so you never have to second guess again. 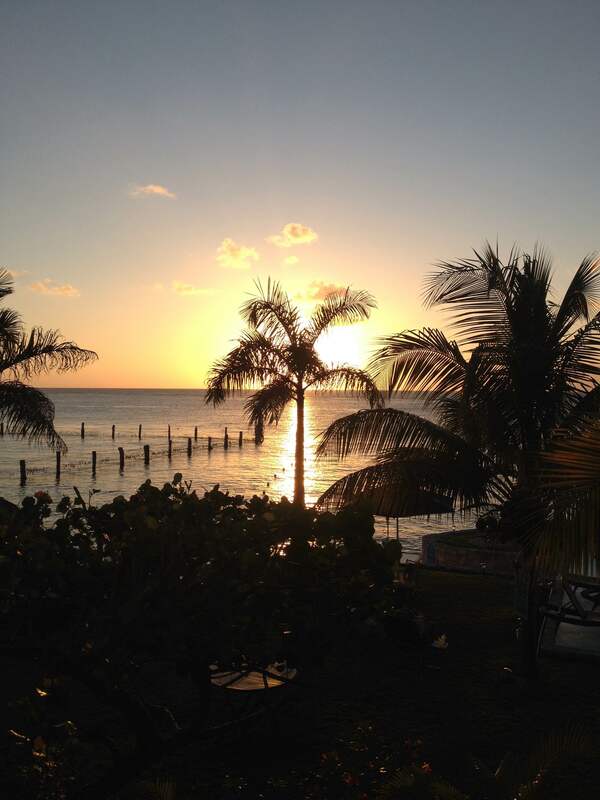 April 4th through 12th I was lucky enough to spend in the beautiful Cozumel Mexico. Now Cozumel is one of those dive destinations that almost all divers have heard of, if is famous for its walls that reach extreme depths down to 6000 ft, and of course the drift diving. 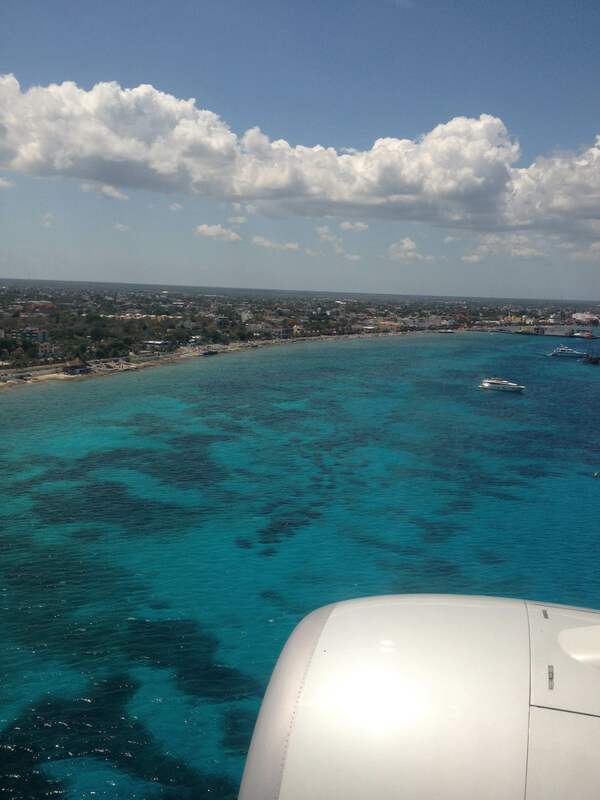 For those that are not familiar with Cozumel it is an island off the coast of Cancun and Playa Del Carmen, it is well known for the stronger than average currents that whist divers gently over the reef. Cozumel has an abundance of fish and creatures to see and on this particular trip there were no shortage of turtles, a common favorite among divers. The crystal blue water makes it deceptively simple to wonder a little farther from your group and need to play catch up. Truly a divers paradise. The Highs: For me being a cold water diver the temperatures in Cozumel were a breath of fresh air, fairly consistently 79 degrees Fahrenheit. 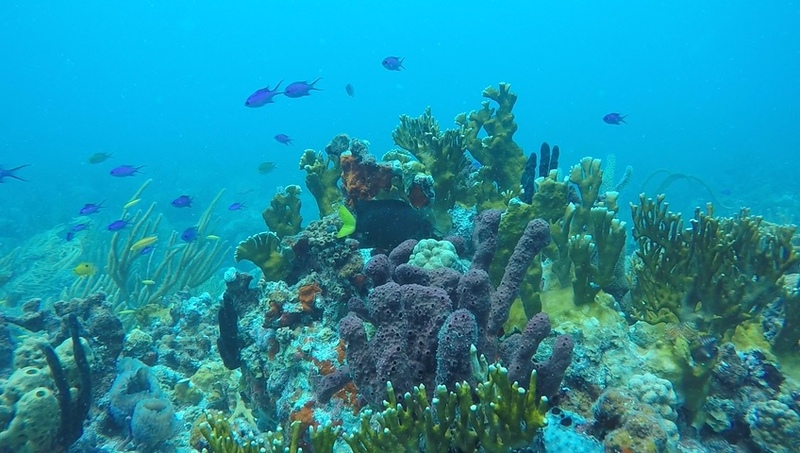 The currents made it possible to average hour long dives full of reef structures teaming with life from the smallest corals to some of the most massive groupers. We were fortunate enough as a group to have guides that did their best to ensure we were not in the hoard of cruz ship divers. The walls that seemed to reach into the depths of the earth along the walls provided a ever deepening blue. 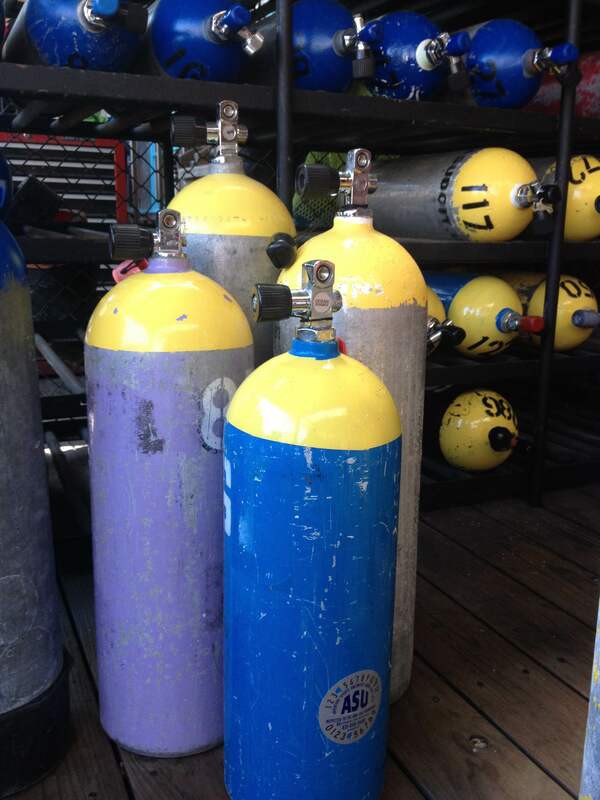 The Lows: In reality these tend to get a little nit picky because the trip was amazing, but some of this will help prepare divers for going to Cozumel in the future. 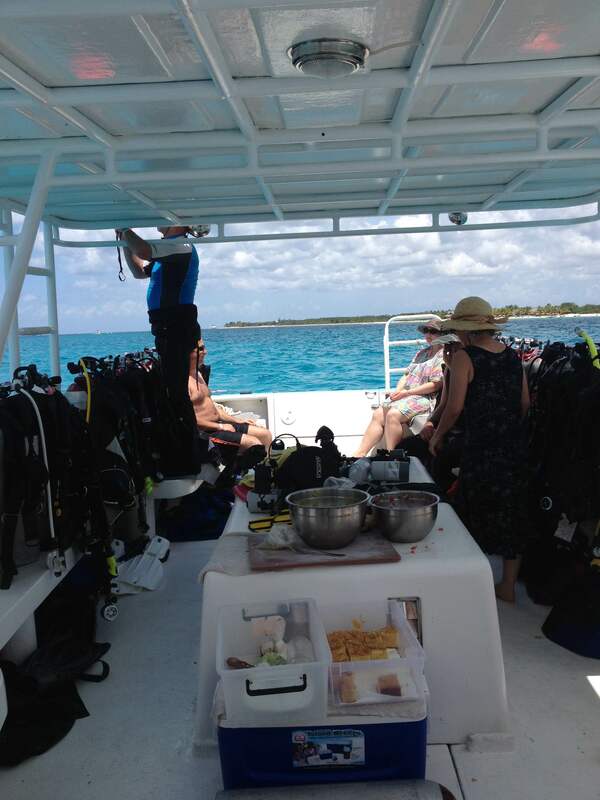 First of all Cozumel made up of primarily marine protected area, this means that there are strict guidelines on diving. Some of these strict rules include no gloves or knives. The concept of no gloves is relatively common and is used as a deterrent from touching the reef, but the no knives was new to me and i could’t quite understand why. Cruz ships are also a common sight while in Cozumel, and we were told by some of the instructors that during the busy season there can be up to 12 cruz ships in a day. what this means is there is an overcrowding of the reefs, manny divers and also the possibility of less skilled divers affecting the visibility through poor buoyancy control. This large number of divers also makes it difficult at times to keep track of your group during the dive. 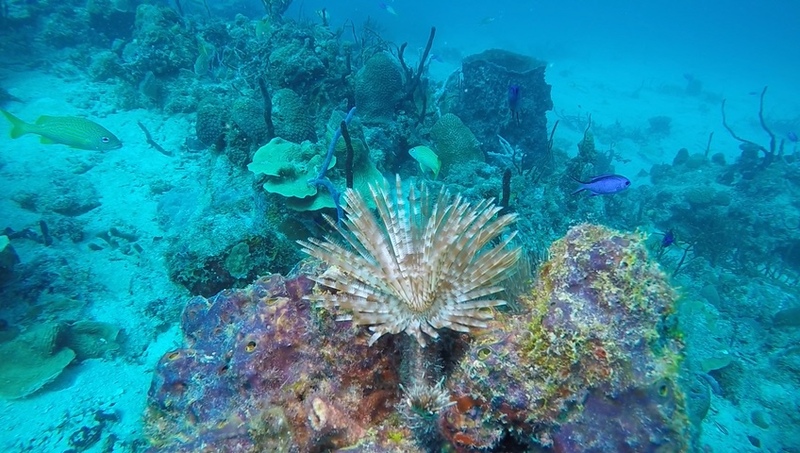 Overall Cozumel is a phenomenal destination for diving that all divers should have on there list of must visit locations. Not only is there amazing visibility, cool swim throughs, walls, and a variety of aquatic life to see. There is drift diving which can be a game changer, bottom time is increased because of the reduction of effort to move through the water and hour long dives can be easily achieved for those who have good air consumption.